Successful managers realize that they are in business to be of service to customers. Customer service, customer satisfaction and customer delight are 3 aspects of their business life that good managers concentrate on. So here are a few key ingredients that will transform your business from an ordinary wishy-washy soup to an exceptional multi-course gourmet delight. Every person we come in contact with is the most important contact that we’ll ever make. Commitment to our clients’ satisfaction is the reason why customer service succeeds. Commitment of every employee towards exceptional customer service is mandatory. 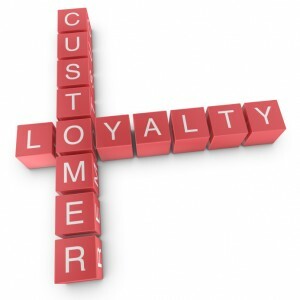 Customer loyalty is the responsibility of every employee within the company. It is earned by building positive relationships, one customer at a time. Employees must be committed to generate customer loyalty. Loyal customers purchase more products; they are more pleasant, they are more forgiving when problems occur and they refer other customers. The bare minimum required of you is a good product backed with excellent support or a good service backed with a caring, listening attitude. Fantastic customer service inside and out requires you to give good quality service to both internal and external customers. Customers are everywhere – coworkers and bosses are your internal customers and people who buy your products and services are your external customers. Partner with them for fantastic results. Customer service is a manager’s ability to supply the customers’ wants and needs. “Excellent customer service (is) the ability of an organization to constantly and consistently exceed the customer’s expectations.” ACA Group. Accepting this definition means expanding our thinking about customer service; if we’re going to consistently exceed customers’ expectations, we have to recognize that every aspect of our business has an impact on customer service, not just those aspects of our business that involve face-to-face customer contact. To think like a customer, you have to live like one – at least for a while. “Do unto others as you would have done unto you“. Benefits customers can relate to – ease of use, durability, cost savings, etc. – are the language that technical product features need to be related to. Remember that the basic human needs are to feel important, welcome, and safe. Be careful of the jargon that you use within your company. Dialogue with the customer. Listen to him. Learn to use pauses and silences in conversations, to draw out your customers’ inner most feelings, thoughts and feedback about yourself, your products and your services. There’s no real secret to getting your customers to come back. All you need to do is provide customer service that exceeds your customers’ expectations and outshines your competitors’ customer service. Take care to accurately define your customers’ needs and wants. Substitution of the company’s values for those of the customer can result in a mismatch of priorities leaving neither one satisfied. Customer satisfaction occurs when you meet your customer’s expectations. Customer delight occurs when you not only exceed your customer’s expectations but you also give your customers what they want or desire. Customer satisfaction and customer delight guarantee customer loyalty. Customers often leave or change suppliers because of Perceived Indifference (only 15% because of product/price/time). Ensure that it is easy for the customer to reach the appropriate person. At the same time, you should know how to say NO and still build loyalty. Customers will respect you for having the courage to face them with negative replies. Getting a negative response is better than banging their head against a wall of silence and non-commitment. Research finds that the vast majority of consumers believe that emotions account for over half of their customer experience. Create a profile of an excellent customer experience. Describe the physical and emotional expectations of the customer. How the customer feels is as important as, if not more, than the projects’ actual deliverables. Deliberately and consistently give this excellent customer experience through all your meeting contacts, your product solutions and your service deliverables.